Hand knitting is an ancient craft, perfected by the people of Ireland, where sheep and wool are plentiful. The Aran sweater has evolved into a national icon, and I consider it to be Ireland’s most significant contribution to international style. In today’s post we’ll explore the origins of these traditional Irish sweaters and I’ll introduce you to the wonderful folk at the Standún store in Spiddal, Galway, who have been selling aran knitwear for nearly 70 years. They have graciously sponsored a giveaway for readers of Irish American Mom, to celebrate how aran knitwear is still worn and loved to this very day. 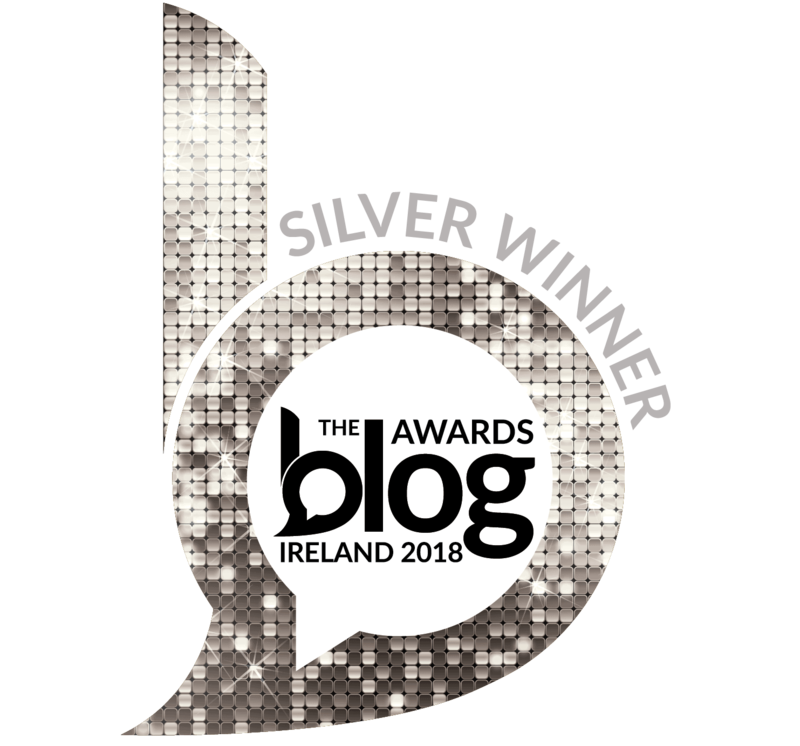 But before I tell you about our prize and how to enter this little giveaway, let me first introduce you to the much-loved aran sweater, and the aran knitwear experts at Standún, Spiddal. The Aran Islands lie off the western shore of Ireland, just off the coast of Galway. The islanders were fishermen and farmers, who battled harsh weather conditions, and the relentless onslaught of Atalantic driven winds and rains. The Aran sweater was first created here, inspired by a bleak landscape and the hardships of daily life faced by the islanders. The stitches created by the island knitters were passed down from generation to generation, and over the years evolved into unique, and highly recognizable patterns. But these patterns are not merely pretty stitching. Each Aran pattern tells a story and reveals a hidden meaning. 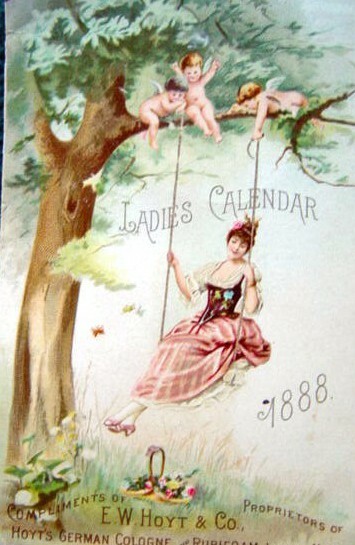 Spinning wool and knitting were important skills passed down from mothers to their daughters for generations. Not only did they share their expertise, they also handed down symbolic patterns representing age-old Irish traditions and culture. Aran knitting designs symbolise the daily life of the islanders, their remote surroundings, and their religious beliefs. Aran sweaters were linked to families of the islands and their unique identities. The cable stitch was inspired by a fisherman’s rope. Moss stitch was inspired by the abundant growth of moss throughout the islands. The trinity stitch was inspired by religious beliefs. The stitching tells a story or represents aspects of the knitters lives, and their families. Sadly, in the past Aran stitching was used to identify bodies that were brought up on shore after an accident at sea. Believe it or not, the Aran sweater was actually waterproof in days gone by, making them perfect garments for fishermen and farmers who were constantly exposed to Ireland’s soft, and not-so-soft rains. Sheep wool contains an oil called lanolin, and this oil made sweaters water repellent. However, aran sweaters of old were very heavy with oil, and had a very distinctive odor. Today only very few brave the wild Atlantic ocean to earn a living, so the market for traditional, oil-sealed sweaters no longer exists. Nowadays the oil is extracted from the yarn before knitting the sweater. However, Aran sweaters today are still rain resistant. Believe it or not an Aran sweater can absorb 30% of it’s weight in water before the wearer feels wet. Handknitting an Aran sweater takes between 3 weeks and 6 weeks to complete, depending upon the speed of the knitter and the size of the garment. A sweater for a big man is a major project. Tightly woven stitches interconnect to create each masterpiece. An individual sweater may contain over 100,000 intricate stitches. The patterns and individual stitches are clearly evident in a high-quality handknit sweater. Handknit sweaters generally cost over €100 each, because of the time involved in making them. They truly are a labor of love. Machines are now used to make many Aran sweaters. The craft of handknitting is not as widespread as before, but it still continues in Ireland. Nowadays due to increased demand and economic gain a lot of sweaters are made by machines. A machine knitter can produce 8 to 10 sweaters in just 1 day, compared to a handknit sweater that takes at least 3weeks! And that’s by a professional knitter!! Even though the Aran sweater is the ultimate symbol of Irish heritage, hand knitting is sadly a dying skill. We hope in years to come these skills will not become a distant memory of the past. For this reason hand knitted sweaters are valuable and rare garments, to be treasured as family heirlooms. Standún Spiddal is a family run business based in Connemara Galway. The store was established in 1946 and is now in its third generation. Standún is best known as the Home of the Aran Sweater, since it was the first store to export the Aran sweater to retailers in the US. At the time there were over 700 knitters working for Standún throughout the country. The founders of the store Máirtín and May Standún, fell in love with Spiddal during a cycling trip around Connemara. Inspired by an ardent desire to live in the Irish Speaking Gaeltacht, they saved every penny they earned and in 1946 they bought a tiny galvanized shop and house on the outskirts of the village of Spiddal, for what was then the vast sum of nine hundred pounds. Máirtín and May Standún, and the home/shop they purchased in 1946. Throughout the years the store expanded and eventually became a General Country store, in which you could buy everything from your groceries to wellies or ice cream, and of course Aran Sweaters. There was also a small knitting factory and a funeral home on the premises. 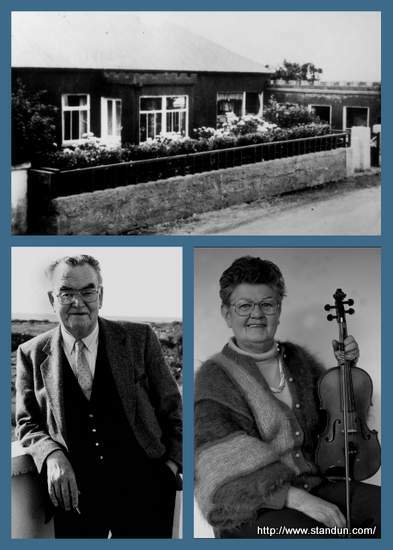 Máirtín and May both loved everything Irish, and were very passionate about the Irish language and Irish music. May was a music teacher and played the fiddle and the piano. They had many musician friends that visited them in Standún, including Luke Kelly and The Clancy brothers. They would have music sessions into all hours of the night. The Clancy brothers wore Aran sweaters from Standún’s, and this really was the start of the Aran sweater becoming commercial. Dónal, the eldest son then took over Standún in the 70’s and put his own stamp on it. He transformed it into a tourist hub and did away with the funeral home, ice cream parlor and grocers. This was a great success and in the 1990’s the Wall Street Journal awarded Standún with the ‘Best Value & Quality Aran Sweater in Ireland’. In recent years both Dónal’s daughters have been running Standún. They too have made some changes, but remain passionate about Aran knitting and Irish design. Standún is unique as it sells to tourists and locals alike, and is known for it’s keen prices and great quality. Even though the sisters have been through difficult years recently due to the economic climate, they are delighted to be still a destination for tourists from around the world. Their online store has proved a great success and is a big part of their business today. Standún remains a renowned shopping destination in the heart of the Connemara Gaeltacht. 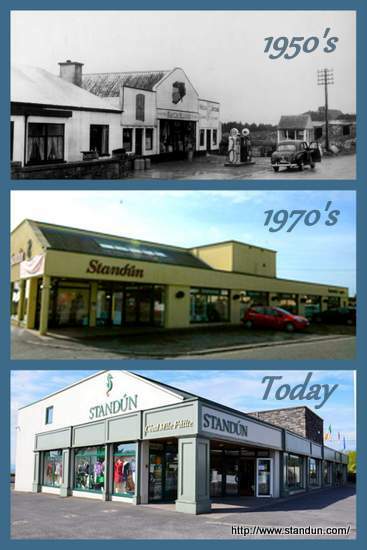 Believe it or not, I remember shopping at Standún when my family spent two weeks on vacation in Spiddal. I was about ten years old. Forty years later, my mom still has a three-legged stool we purchased there. I remember the store front from the 1970’s, and the warm welcome awaiting shoppers. If you happen to be in Connemara, why not stop in for a unique shopping experience with a vast array of traditional and contemporary Irish merchandise, or you can always check out their wonderful online store. 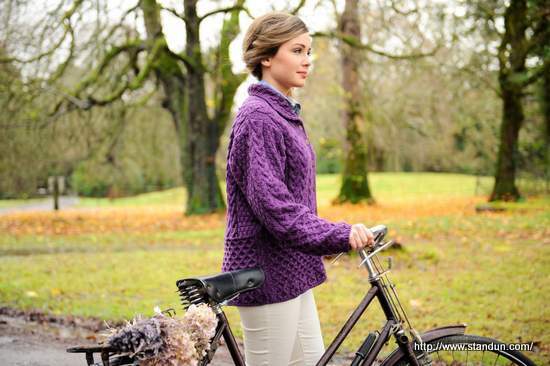 Standún is running a promotion on Aran knitwear at the moment – there is 20% Off all Aran Styles until 31/5/15. 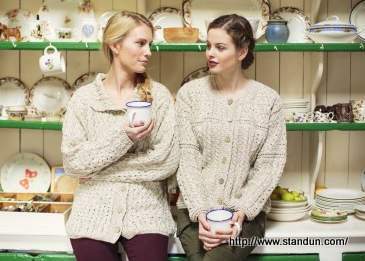 Aran knitwear has been a fashion staple for decades, and to celebrate this globally recognized symbol of Ireland, Standún have graciously sponsored a giveaway for Irish American Mom’s readers. Cozy, and crafted with the best quality wool, snoods are knitted in different colors, and have functional buttons, so they can also be worn open like a scarf. Standún says snoods are really popular with their local and tourist customers, and have graciously donated three snoods as prizes for three lucky readers. Three lucky winners will each receive an Aran snood in the color of their choice. To enter just leave a comment on this blog post by noon on Wednesday, May 13th, 2015. Any comment will do, but if you need inspiration why not tell us if you are the proud owner of an Aran sweater. A winning comment will be chosen randomly. Remember to leave your e-mail so that I can contact you should you win. Your e-mail won’t be published or shared, just used to contact our lucky contestant. Winners will be announced on Wednesday May 13th, 2015. Thanks to everyone who supports and enters this little giveaway. Thanks to everyone who joined in and enter this little giveaway. And a big thank you to Standún for sponsoring this wonderful prize. Wishing them continued success with their family business. Disclosure: Irish American Mom does not have a business relationship with Standún, Spiddal. No cash payment was received for publishing this giveaway post. 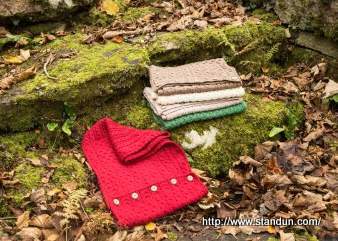 I wish to thank Standún for graciously sponsoring the prize for this Aran knitwear giveaway. All images published with permission of Standún, Spiddal. My mom knitted my children aran sweaters when they were toddlers. I have them put away for future grandchildren. I never had an Aran sweater! I just found 5 skeins of Aran wool which my now 92 year old mom had in the back of her closet. Since I am lefthanded, my righthanded mom could never teach me to knit. I am thinking it is never too late to try?!? I have two lovely hand knit sweaters I bought on my visit to Innish Moor. I love the history and craftsmanship that goes into these sweaters. They really are a work of art! 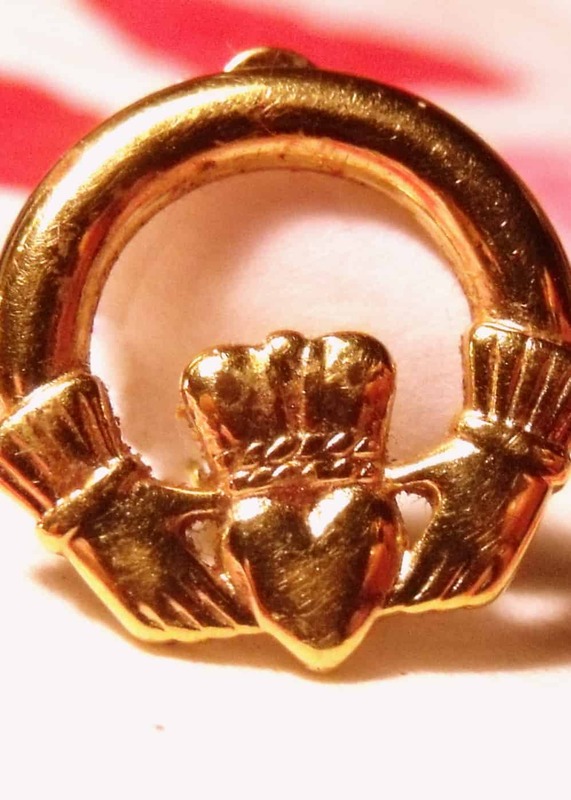 I loike to read about the history of all the cool companies that Irish Mom introduces us to. I love learning more about Ireland. The Aran sweaters always look so warm and comfy, and beautifully stylish at the same time. I enjoy reading the Irish American Mom articles and learning more about Irish traditions and culture. I also love to see the beautiful pictures of the countryside of the land that was once my grandfather’s home. Art enhancing life…a very good thing indeed! Being the first born here in America- my ma always made sure to carry on the culture all around. From Competition Irish dancing, learning Gaelic and a new Aran sweater as the last would become too small- it was always -and still is part of the wardrobe. I love all the new ways it has been integrated into fashion- from Cashmere wedding dresses to scarves, it is warm, never outdated and always recognized. Love Aran sweaters, got my first one in Uachtar Ard when I was 16 and it was worth the wait and the money! My First Holy Communion dress was hand knit in Aran – Cherish those memories. I would love to win an Aran snood, because I love Ireland so much. And if Love was a color…it would be green, and if I win I would have Love around my neck!! I would love to win a amazing snood! They are so beautiful! 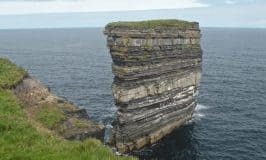 I would love to have a piece of Ireland with me! I’ve always wanted a sweater of theirs. They’re so beautiful! 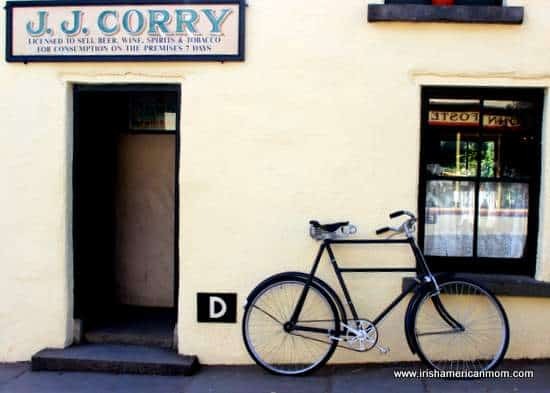 I got my first Aran sweater from this very store in Spiddeal – we would go every year to that wee village and stay in Ard Mor a guest house – owned by Barclay and Vera Feeney – I can still smell her scones!! I am an Irish American mom. My family comes from County Westmeath. I am truly proud of Irish heritage. The Aran Sweater and scarf brings me back to my days in primary school especially Kindergarten when I was the only little girl in a cable knit lamb’s wool sweater and wearing a plaid skirt. Even now my Irish heritage and family remain strong and true as do my faith in God. Thank you for the opportunity to share my fond childhood memory and allowing me to enter for a chance to win! I don’t own one of these sweaters, but I would love one. They look so cozy and warm. I have a beautiful sweater that I purchased when I was in Ireland. One of my most favorite items and believe me it kept me very warm while there. On my last trip to Ireland I purchased a lovely Aran knit poncho … it’s a favorite of mine! I have never had an Aran snood , they are beautiful,love the cream one. I do have some Irish sweaters,love them,would love to win this. An Aran snood will certainly help me endure these long Catskill winters! my fine photos that I can share….Love the site. Good Luck to all! As a teacher ,I bring in my beautiful Irish handmade Aran sweater for a wee bit of show and tell for High School students. They are fascinated by the patterns and the stories of the fishermen wearing them out to sea! I love this article! I visited Inis Mor in 2008 and it was amazing. One of my biggest regrets of the trip was not making it up to Connemara! This article was so informative…so great to hear about this wonderful family business and I loved the pictures of the shop old and new! Thank you to everyone who entered this giveaway. I really enjoyed reading your comments. I would love to have responded to each of you individually, but with so many entries that would take forever and a day. I appreciate each and every one of you, who reads my ramblings and supports these giveaways. A big thank you to Standún, Spiddal for sponsoring these lovely scarves as our prize. Best wishes to everyone and congratulations to our three winners. I’ve sent each of you an e-mail to let you know the luck of the Irish was with you this evening. 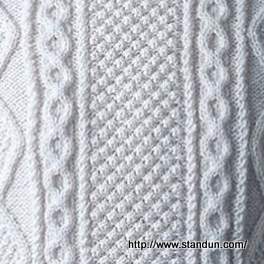 This is a new knowledge about the history of the Aran sweater and how is it compared to another sweater nowadays. Thank you for sharing!